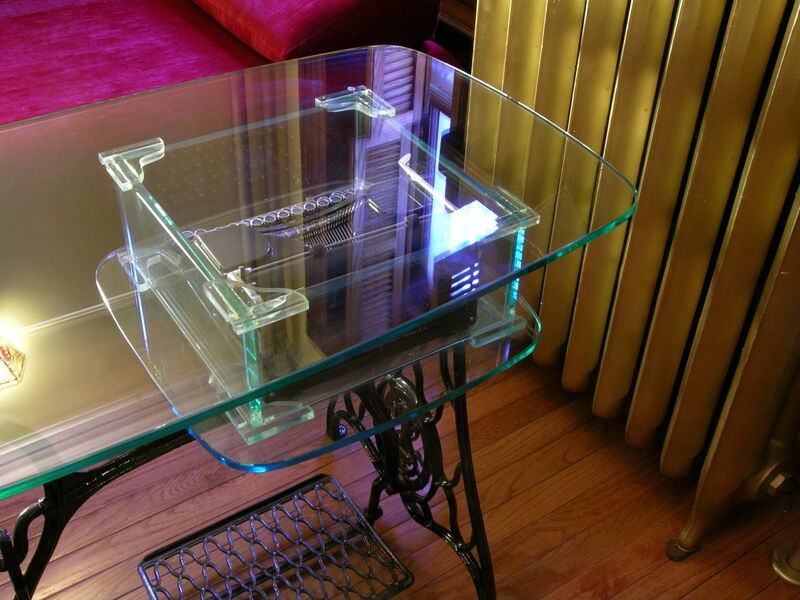 This glass table was made using a cast iron stand of an unusual antique sewing machine. The stand has uneven legs, and there is a typewriter encased in class underneath the table top. The cabinet was made to house a collection of disks, and audio tapes. The tapes fit in the doors, and when the cabinet is closed they nest into the curved cavity created by the disks. 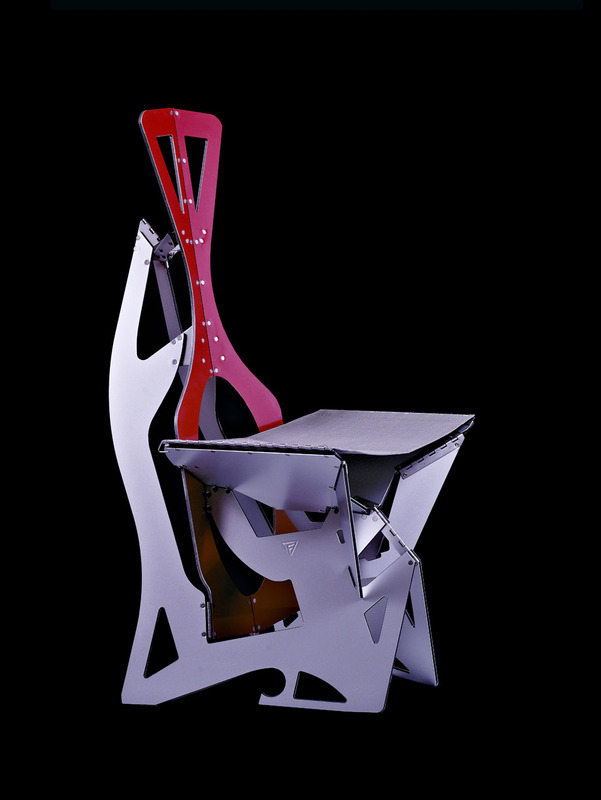 The cabinet body is made of plywood shapes laminated together. 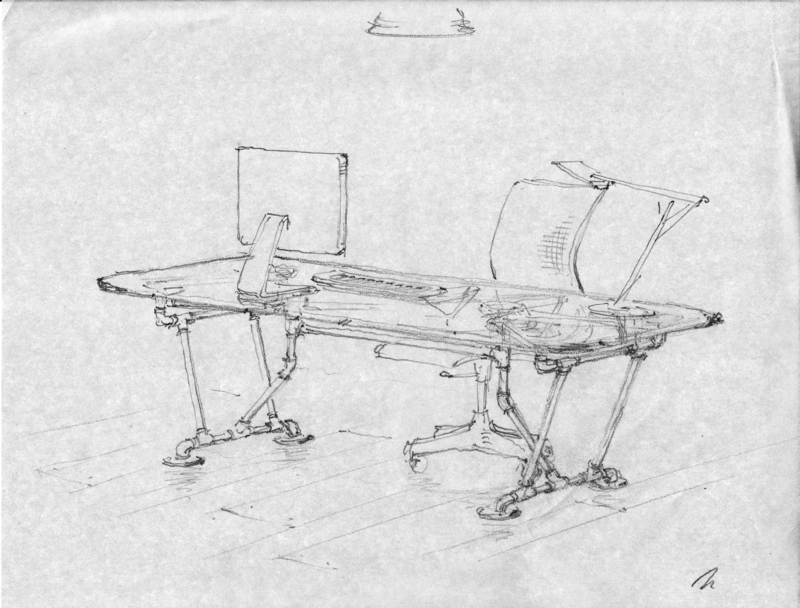 An office desk with adjustable legs, made of black threaded pipe with common cast iron plumbing fittings. 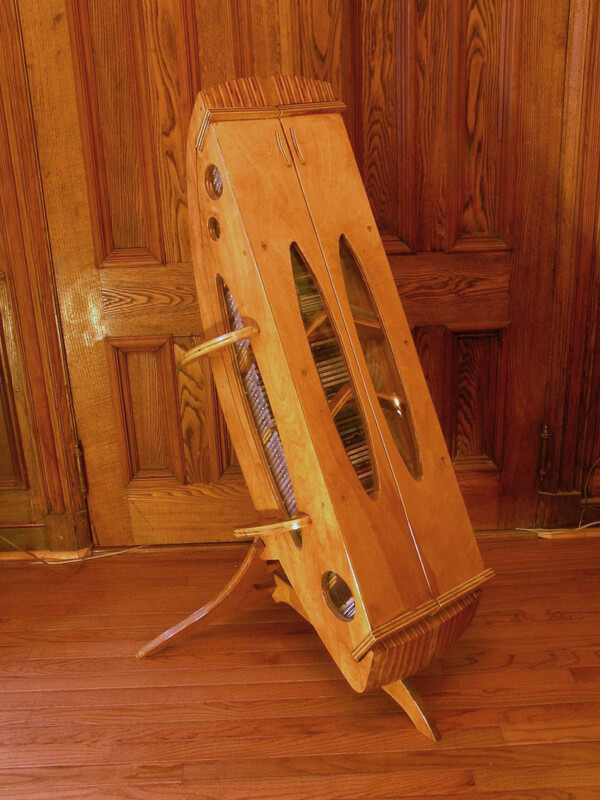 Originally designed for a glass top, several were made with countertops of reclaimed pine.